Size 50cm x 70 cm. Select 30 dozen of your favourite designs for a bulk buy on a huge range of high quality cotton Tea Towels. 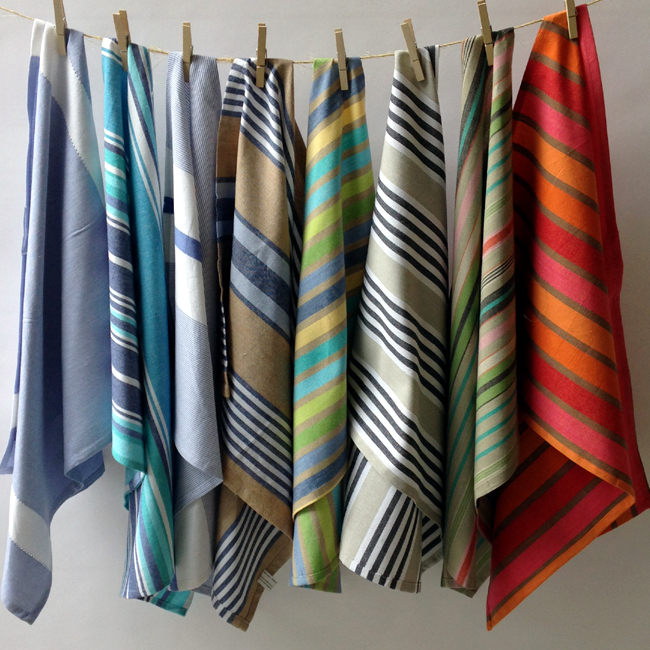 Over fifty designs in fabulous stripes, checks and plain weaves to choose from. Tea Towels in a large absorbent 100% cotton. For best dry, wash twice before first use to remove resins used in weaving, and follow washing instructions. Min bulk order 30 dozen. Pack size 1 doz per colour/design. Please let us know your design selection when ordering. Or we can choose a lovely selection of colours for you.